Visiting a cave can seem like a tame task. What do you do except walk around right? Wrong! 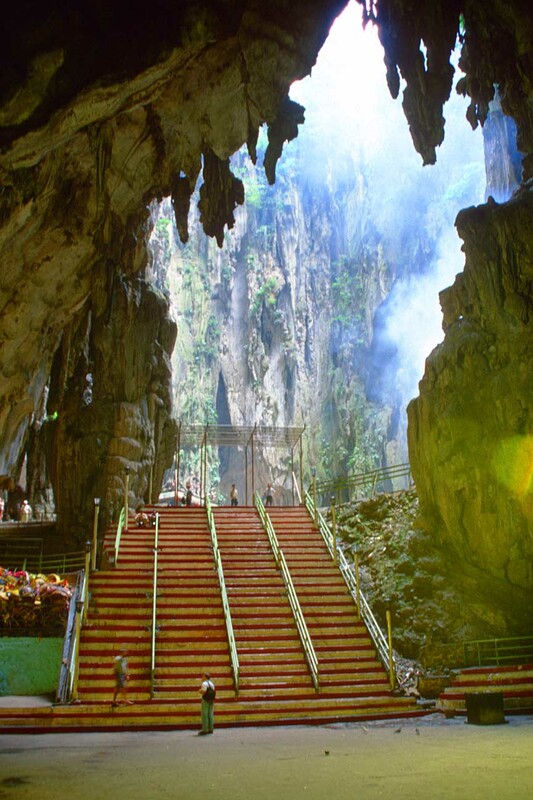 The Batu Caves offer you a challenge like no other. With a cool 272 steps climb to the top, you are likely to end up exhausted but very,very exhilarated to be at the top. 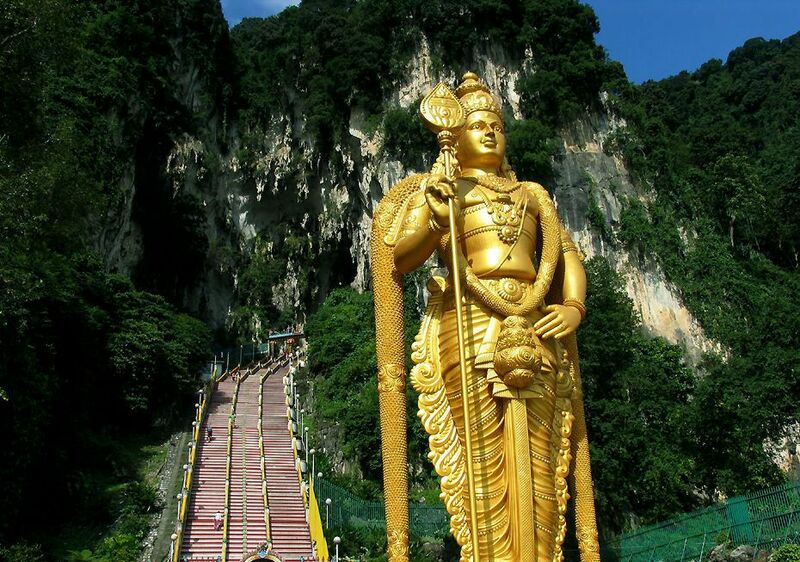 Batu Caves is an iconic and popular tourist attraction in Selangor.The imposing statue makes this a sight to behold and attracts attention of people from around the world of different faiths and beliefs. A site of a Hindu temple and shrine, Batu Caves attracts thousands of worshippers and tourists, especially during the annual Hindu festival, Thaipusam. There's also fun to be had. Monkeys frolic around the caves, and it is a popular spot for rock climbing enthusiasts. Paintings and scenes of Hindu Gods can also be seen in the Ramayana Cave.